Congrats! Kathryn Cuthbertson! You’ve won our fantastic prize. 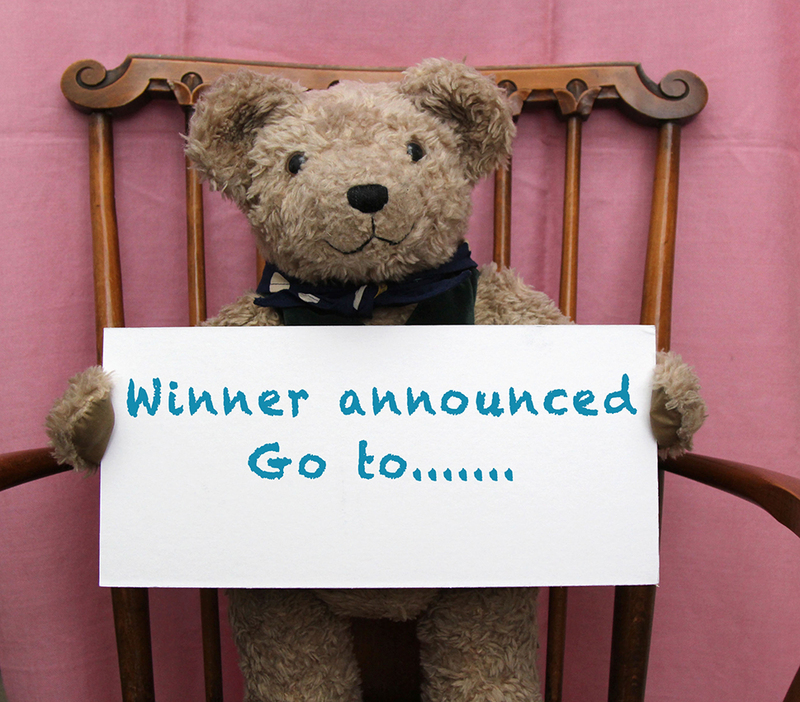 To claim it, email us at binky@binkybear.co.uk with a postal address so we can deliver your bag of #Binky goodies. You have 48 hours to claim your prize. We will choose another winner if we don’t hear from you by then. Thank you everyone for all your wonderful comments and for taking part in all the fun. Look out for the next #BigBinkyGiveAway. There is nothing quite like a village fete! Every year in the summer months in the UK, hundreds of villages put on their garden fetes. In the case of our village the fete is held on 22 June in a beautiful local garden where the freshly mowed lawns are dotted with stalls selling second hand Bric-a-brac, books and jewellery: locally grown vegetables and plants and of course the chance to sit in the shade and have tea and cake or a cool glass of Pimms. 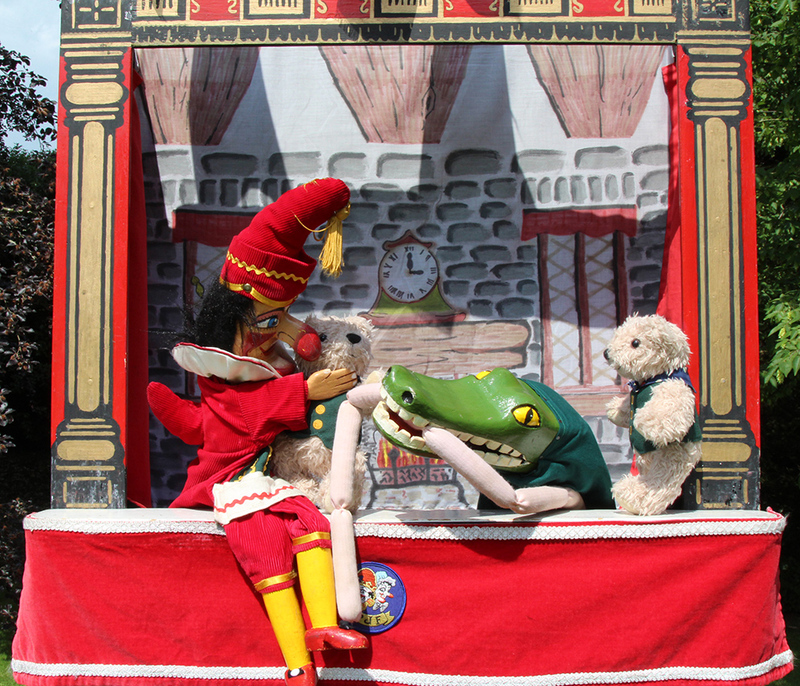 For the children, after an ice cream and a run about it is time to sit down and watch the Punch and Judy Show. What better way to spend a sunny summer's day. See if you can recognise the special guests on the stage! Mr Punch please put him down! Binky Books bring you closer! Did you know that we sell more books to grandparents, godparents and parents than we do to anybody else? 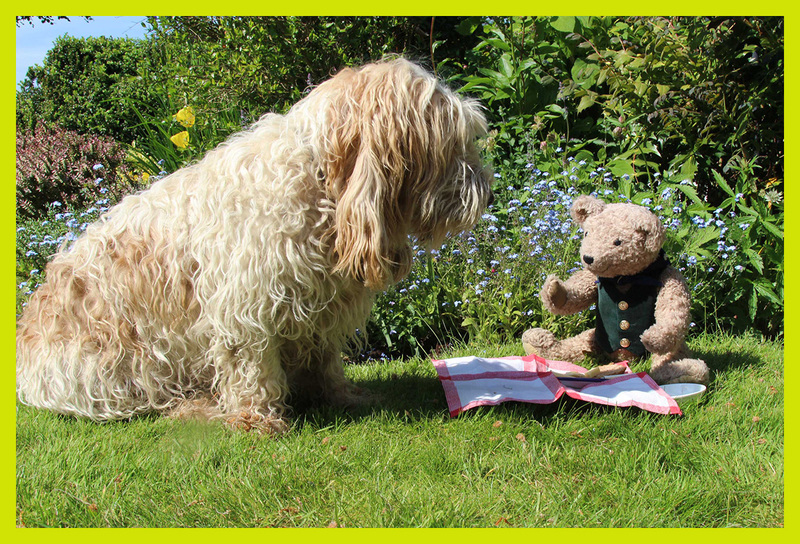 Binky Bear books are photographed in real locations and the map in each book means you can go and walk in Binky's footsteps and relive his adventure yourselves. There are Binky walks in the country: the beautiful Georgian town of Alresford in the Hampshire countryside: in historic Winchester and now in Central London. And you will come across a lot of the same animal characters: swans, ducks, squirrels. 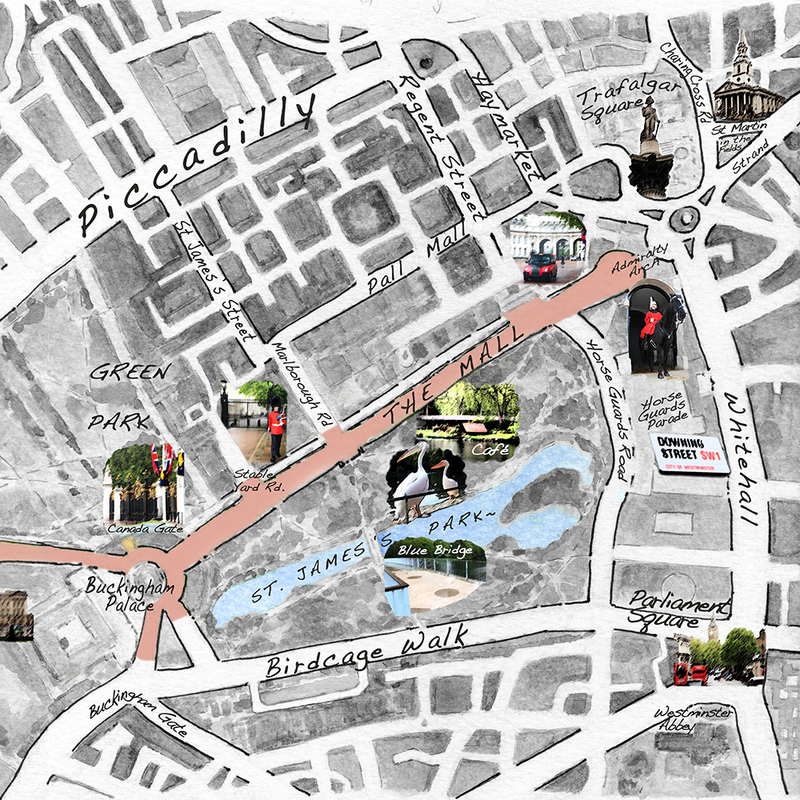 If you go on the London Binky walk you will meet the Horses of the Queen's Life Guards and the pelicans in St James' Park. Do the walk in the morning and you can see the ceremony of the Changing of the Guard which takes place every day at Horseguard's Parade: on Sundays it is at 10.00 am and on every other day it is at 11.00 am. TripAdvisor give this ceremony a rating of 4 and they have a lot of useful comments about where to stand. 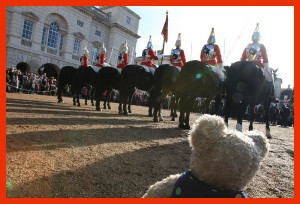 Finally to see a brilliant time lapse photography of The Trooping The Colour ceremony, held at Horseguards in mid June each year, click here. The Binky walks give a great purpose to the day and the kids will love it. Have a brilliant day out! 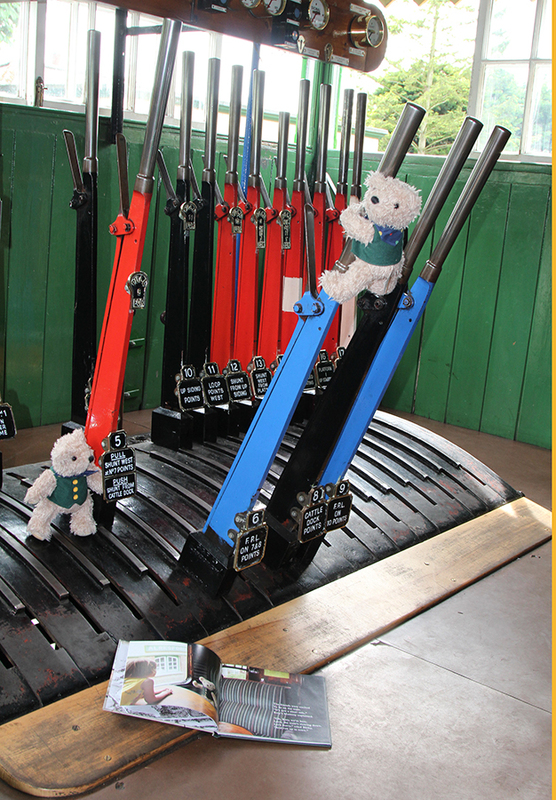 Binky's Big Adventure is our first book as you know and the opening page is a fantastic double page photograph taken in one of the carriages on The Watercress Line. Here you can see two Little Binky Bears, who have their copy of Binky's Big Adventure with them, have stopped to help out in the signal box at Alresford Station. (They were fully supervised.) Remember if you take your copy with you on the train you can find Binky's actual seat (next to seat 27) and you can then do Binky's walk around Alresford down to the watercress beds and via the cake shop! What a perfect day out. Here is our first newsletter and here is our second. We have started creating newsletters to keep you all up to date on what is going on in Binky's World. 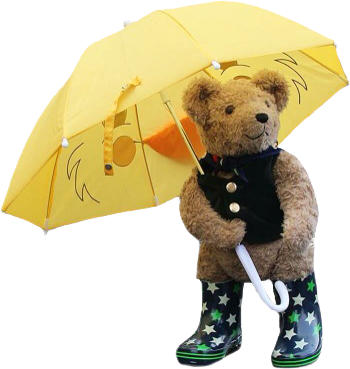 Each newsletter is a collage of items from our Facebook and Twitter accounts and you will see what Binky has been up to and who we have been talking to.